6 months before to curtain off, 12th Edition of PrintPack India has surpassed the eralier booking record of 11th PrintPack India. If the flow continues for next four months, it is sure to take PrintPack India 2015 to newer heights unachieved before. 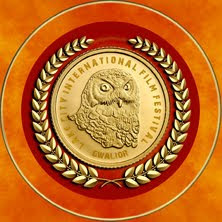 Other side of the coin, outcome of exhibition depends on visitors. Aggressive promotion of exhibition and simultaneous result had already delighted to the exhibitors of previous PrintPack India. 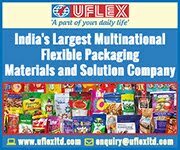 Previous efforts and experience will be added advantage to ensure the Massive footfall of visitors in PrintPack India 2015. Dialogues are on with sister associations to mobilize visitors and encourage delegations to visit PrintPack India 2015. Agreements made with fraternity’s overseas associations in Sri Lanka, Bangladesh, Nepal, Myanmar, UAE, US, Germany, Malaysia, Italy, China, Korea and other countries for mobilizing visitors from overseas. For the convenience of visitors, elaborate arrangements have been made for on-line registration etc. For making the event more purposeful and business oriented, Seminars and Workshops have been planned every day from 11-15 February, 2015 along with NPES and other renowned workshop event organizers. PrintPack India 2015 will showcase the world’s latest technologies. 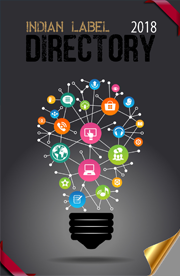 It will be a promising show with great opportunity provider to all segments of the Industry. Print Pack India 2015 is one of the Asia’s biggest exhibitions, where not only Indian companies but world’s majors into printing and allied machinery mark their presence. Some of the major exhibitors who have confirmed their presence at the show are Autoprint, Bobst India, Kurz India, Kohli Graphic Systems, Muller Martini, Multitec Aids, Innovative Flexotech, Webtech Engineering Sona Commercial and others. India’s pioneering magazine for the labels, converting and package decoration industry - Labels India - is the media partner for Print Pack India 2015. For latest information of total participants, layout, service render, tie-ups etc, visit www.printpackipama.com or email: admin@ipama.org. 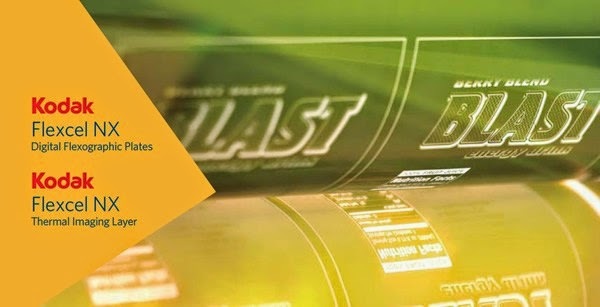 Tresu Group, the global supplier of flexo technology will present ancillary products that improve ink flow at Labelexpo Americas 2014. Highlights include ink supply systems, chambered doctor blade systems and plate cleaners. The F10 iCon ink supply system automates ink pressure, viscosity and temperature control in flexo printing machines. This, in turn, ensures a constant, accurate ink density on the printed substrate and prevents air from contaminating the ink chamber. Sealed, pressure-controlled chambered doctor blade systems enable direct, bubble-free transfer of ink / coating to the anilox cells. This ensures a clean, blister-free printed image with fast drying characteristics, better reflection and higher gloss values, whether on paper or film. Also, the automation of ink flow greatly reduces the need for manual intervention during the production run. Chambered doctor blade systems include the FlexiPrint IMW E-Line, for web widths up to 1800mm (70.8”) and speeds up to 500m/min (1640ft/min); and the closed-cassette FlexiPrint reservoir, which needs no pump and operates at press speeds of up to 300m/min (984ft/min). The E-Line system, including clamp, allows for safe blade changeover in less than two minutes. Tresu’s patented Rubber Seal System ensures an airtight closure, eliminating the chance of leakage and allowing long-term storage of ink, for instance when production is interrupted during weekend shutdowns. In addition to ancillary products, Tresu offers flexo coating systems for integration into digital sheet-fed folding carton lines, under its DigitalSolutions division, and custom-built flexo machines via its Solution division. The Tresu iCoat coating system has been adapted specially for HP Indigo 10000 and HP Indigo 30000 presses. Together, the Tresu and HP systems offer a complete printing folding carton production line - for printing, full surface or selective coating and stacking. Kodak has reached the installation of its 20,000th award-winning Kodak SquareSpot Thermal Imaging Head, the industry’s gold standard in imaging technology. 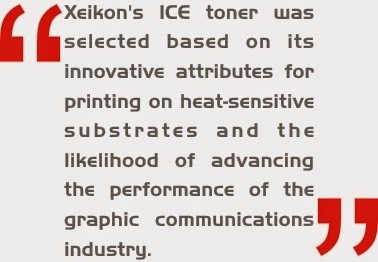 As the developers of thermal CTP technology, Kodak makes the only CTP Systems that utilize Kodak SquareSpot Imaging Technology, giving customers the competitive advantage needed to reach a higher level of stability, accuracy and reliability within their operation. SquareSpot Imaging Technology has been a successful and long-lasting part of Kodak’s portfolio, and the print industry, for almost 20 years. The technology was first introduced as the viable alternative to visible-light CTP systems and today remains the first choice for printers looking for superior imaging technology capable of premium offset print quality. Kodak Trendsetter, Magnus, and Generation News Platesetters with SquareSpot Imaging Technology help to reduce chemistry usage, plate waste, remakes and make-ready times supporting customers’ sustainability goals. Edwards Brothers Malloy, headquartered in Ann Arbor, Michigan, offers both offset and digital book printing and binding, delivering more than 60 million high-quality books and journals a year. With more than 700 employees at facilities across the U.S and Europe, Edwards Brothers Malloy has selected the Kodak Magnus VLF Platesetter for its diverse organization in order to increase stability and accuracy on both short and long runs. SquareSpot Imaging Technology is adaptable to various Kodak Platesetters, providing customers with multiple size, imaging and automation options. Accuracy in imaging is critical for consistent, repeatable high quality printing and wide color gamut. SquareSpot Technology delivers 10,000 dpi laser-imaging for commercial printing and 5,000 dpi laser-imaging for newspaper printing to provide the most accurate imaging. Competitive imaging technology is typically in the 1,600 dpi range. As a long-time customer of Kodak, the company also owns several Kodak Nexpress Digital Presses and uses Kodak Prinergy Workflow software across its facilities. EFI, a world leader in customer-focused digital printing innovation, announced that InnoMark Communications has selected EFI Radius ERP software to unify and manage business data and operations across its 11 facilities. Fairfield, Ohio-based InnoMark selected the packaging and converting industry’s #1 ERP system based on its best-in-class tools for streamlined, multi-plant management and the technical capabilities Radius gives users to direct an extensive range of finishing and fulfillment processes. Radius ERP software, which will be implemented in phases starting later this year, replaces a series of programs and spreadsheet applications in use at various InnoMark plants, legacy systems that were in place at the individual companies InnoMark has acquired over the past 15 years. After examining software options in the marketplace, an evaluation team led by InnoMark Communications ERP Implementation Director Joseph Roberts determined that EFI Radius offered the best capabilities to unify the company's decentralized business workflow structure. Radius will be especially beneficial for managing many of the large, national retail signage and packaging jobs InnoMark produces, as those jobs all transfer from different screen, litho, flexo and digital print facilities to a main hub for die-cutting, lamination, kitting and fulfillment. The software modules and features InnoMark has with its purchase, including EFI Process Shipper software and integrated support for Esko ArtiosCAD 3-D design software, will allow the company to be even more prepared for its extensive finishing workload and complex fulfillment requests. Streamlined scheduling and management across all of the company's facilities will help reduce turnaround times and facilitate faster, more accurate billing. Radius software also will help the company enhance its sales and marketing efforts, ultimately creating a centralized platform for estimating and scheduling that will make it easier to compare print methods to find the best solution based on client deadline, budget or run length requirements. With its robust technology for planning and managing nearly every converting, die-cutting, laminating, folding and gluing process, EFI Radius is the leading business software for the package printing industry. Those comprehensive features can provide substantial benefits for InnoMark – a leading print, fabrication and fulfillment provider that produces large-format, die-cut, laminated point-of-sale displays for some of the world's best-known retail brands and performs high-volume folding carton and label converting work for the cosmetics, software/gaming and pharmaceutical industries. 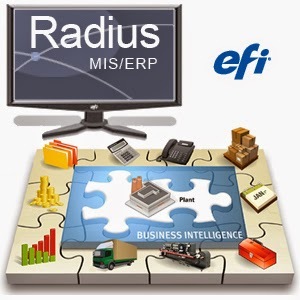 EFI Radius is part of a complete EFI Productivity Software portfolio of print MIS/ERP software, eCommerce and web-to-print solutions. 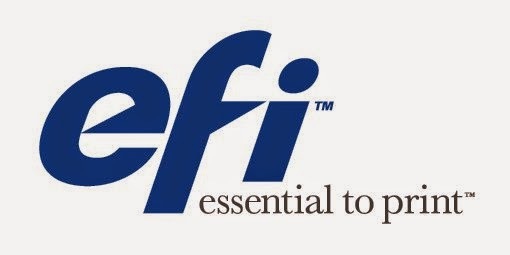 Printing and packaging companies across the globe rely on EFI Productivity Software products to proactively manage their businesses and become more streamlined, efficient, informed and profitable. iSys Label and iSys–The Imaging Systems Group Inc., the Canadian developers and manufacturers of short to mid run digital label printers, has announced that the EDGE 850 digital label printer is officially Section 3 Certified to print GHS-compliant drum and chemical labels* according to BS5609 standards. In order to print fully-compliant drum and chemical labels; the facestock, adhesive and printed graphic all need to meet the requirements for sections 1, 2 and 3 of BS5609 standards and be independently tested and certified by PIRA (the Print Industry Research Association). The printed labels are exposed to artificial weathering, tape removal and abrasion resistance tests to ensure they are capable of withstanding the harshest environments and prove their durability. During this process, iSys Label partnered with MACtac to find two suitable solutions for substrates; a PET, and a BOPP – both of which passed certification and can be purchased in rolls from iSys-appointed converters in the United States. In addition to the certification, GHS also requires users to conform to labeling standards that use the black and red pictogram system in conjunction with precautionary text warning of the dangers and risks of the material. The EDGE 850 “GHS Solution” is a roll to roll digital label printer and comes complete with the printer, feeder, rewinder and EDGE2Print software. With easy-to-use drag and drop software and print speeds of 4.33 m/min and 9.13 m/min., iSys Label makes simple work of printing full-color chemical labels on demand. Users will eliminate the need for ordering pre-printed labels, reduce inventories and wait times by being able to customize their labels with variable information and full color - all in a single pass. BDT Media Automation GmbH, a market leader for B2 format feeders in digital printing, FujiFilm Dimatix, Inc., one of world’s leading providers of inkjet printheads for commercial and industrial printing, and Phoseon Technology, a leader in UV LED curing solutions for commercial and industrial applications have agreed to work together to develop a complete digital printing solution for packaging applications. 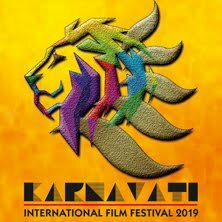 The system will take ad-vantage of the flexibility of the BDT Tornado media handling technology and the versatility of UV printing provided by Fuji-Dimatix and Phoseon. The first demonstration of the solution will be at the Pack Expo International in Chicago, Nov. 2-5, 2014. The Tornado-based Product Feeder (TPF) and Print-system will be able to perform off-line pro-cessing of standard packaging materials including coated and uncoated cardboard, corrugated board, and paper stock, as well as more exotic packing materials such as metallic foils and plastics. The solution will feed, align, print, cure and stack – all with minimal user intervention and greatly shortened job set up times. The TPF system can be seen at the Pack Expo International in Chicago at the BDT booth – E-9705 in Lakeside Lower Hall. 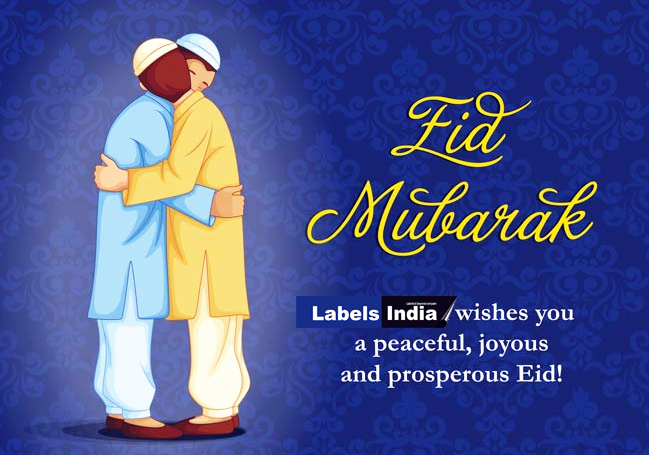 Eid Mubarak to all readers, advertisers and the labelling fraternity..
Esko announces that it recently concluded another successful EskoWorld user group meeting. The event, held June 15-18 at the Walt Disney World Swan & Dolphin hotels in Orlando, FL, was host to more than 700 users, industry partners, product specialists and support staff, who exchanged ideas along with product and application knowledge. Sessions offered insight into the breadth of the Esko experience, including flexo platemaking, packaging prepress, color management, structural and 3D design, brand management, digital label and large format print and digital finishing. The curriculum of more than 90 sessions included special guest speaker contributions from the Disney Learning Institute, Wallace Church Agency in New York City and selected customer presentations. EskoWorld hosted two very powerful presentations from Wallace Church and Disney. They both covered important topics facing all partners of the supply chain: How to engage consumers on a personalized basis, and how to maintain brand loyalty. Rob Wallace, Chief Brand Advocate at Wallace Church, a Manhattan and San Francisco-based brand identity strategy and package design consultancy, offered the Keynote 'Hyper Customization - Engaging Consumers with Personalized Package Design'. It explained how new advances in digital printing make it viable for marketers to engage consumers on a truly individual basis. Church offered a next generation vision for how brand messaging can be hyper customized. Another highlight was presented by The Disney Institute, ‘Disney’s Approach to Brand Loyalty’, providing their perspective about managing the Disney brand. EskoWorld also provided a number of sessions from brand owners that provided their unique perspectives about how they view the packaging supply chain. EskoWorld’s Partner Zone allowed Esko supply chain partners to explain how their products enhanced the use of - and work seamlessly with - Esko tools. Companies included CHILI Publish, Color-Logic, Dupont, EFI, Enfocus, Global Vision, HP, MacDermid, Meta Communications, Southern Lithoplate, The Quick Brown Fox GmbH, Western Computer, and X-Rite Pantone. Esko also staged a demo lab where users could speak with solution experts or sample the latest software. The labs also housed two Kongsberg tables including the new Kongsberg C Series—the largest fully functioning table in the industry. The next EskoWorld event is planned for June 2015 in Scottsdale, Arizona. Labelexpo Americas ’14 (9th - 11th September, Rosemont, Illinois) will see Meech International reaffirm its position as the world’s leading provider for static control and web cleaning technologies. Visitors to stand 1515 will be able to view first-hand the company’s range of systems, including the Hyperion static bars and CyClean non-contact web cleaner, as well as a series of new enhancements to be announced closer to the show. 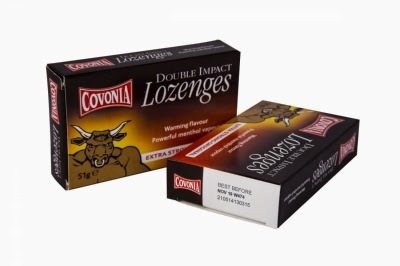 All of these products are employed extensively in the labelling industry. Over the course of the past decades, Meech has successfully established a strong presence in the static and web cleaning markets on a global scale. Aside from the USA, the company also has offices in China, India, as well as Central and Eastern Europe, which service these regions directly. Additionally, Meech’s British headquarters services an even greater number of countries across the world, including Brazil, Israel, Australia, Japan and South Korea. All of this export resulted in the company being twice presented with a Queens Award for Enterprise: International Sales. Among the systems displayed on the Meech stand will be the CyClean, a product that has proven to be highly popular in the labelling sector. 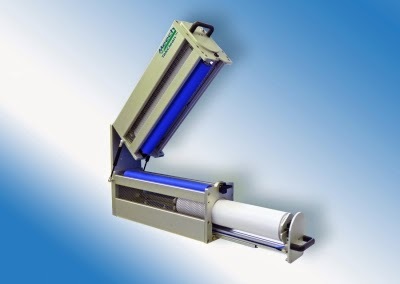 A compact, non-contact, double-sided blow and vacuum-based web cleaner, the CyClean is capable of removing contamination to below 1 micron and can be used with all substrates, improving the flexibility of the press. Unlike a tacky roller system, it is not affected by high contamination levels and has no consumable costs. Also on exhibition is the complete range of Hyperion static control bars, comprised of the 971, 971IPS and 929IPS. The two latter bars in particular were developed as a response to customer feedback and provide efficient ionisation from a 24v power supply. 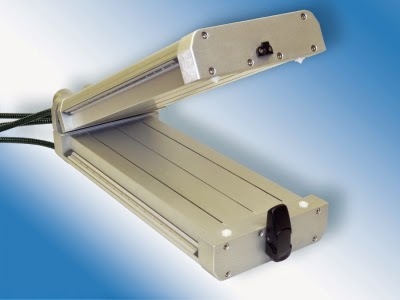 Both systems provide high-standard static elimination, while the bars’ default settings allow quick and easy installation and use on label production lines. Available immediately, Meech’s complete static control and web-cleaning ranges will be on display on the Meech stand (1515) at Labelexpo Americas, Rosemont, Illinois from September 9th to 11th, 2014. Packaging specialist The Sherwood Press Group has chosen an Acuity Advance Select HD4006 with roll-to-roll option and a Kongsberg XN digital cutting system, both supplied by Fujifilm, to increase its competitiveness and produce packaging samples in a more efficient way. 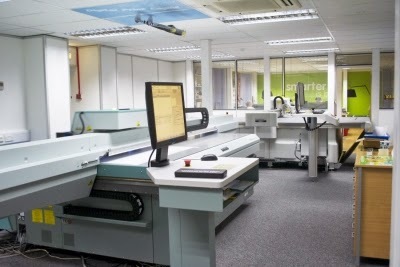 Sherwood Press selected the Fujifilm wide format device as part of its ‘Smartcentre’ project, which refers to the recent launch of an innovation hub located within the company’s Nottingham site to showcase the wide range of applications and services it can offer. To view the case study, watch this. 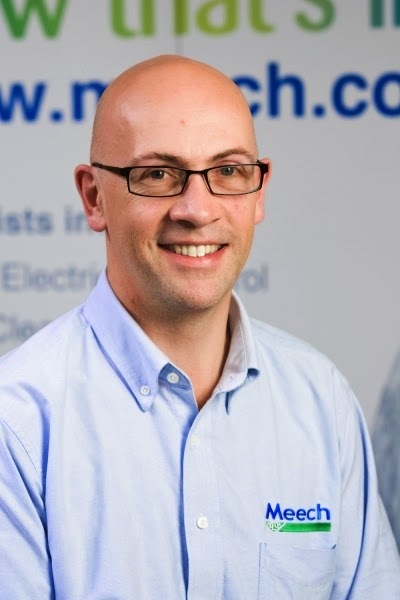 David Rogers - Business Unit Director for Static Control at Meech International explains why the print industry really needs to be aware of static. An excerpt. Why is static an important consideration for the print industry? David Rogers: International businesses need to take notice of static as a phenomenon mainly because when it is present on a printing line it will attract dirt and dust, which can result in poor print quality, with the printing press necessitating frequent cleaning. But many CEOs working in this sector may not be aware of the financial repercussions that stem from the presence of contamination on the web. Frequent downtime spent on cleaning the printing press implies a reduction in machine speed, and therefore can lead to significant loss of production. This is obviously an unacceptable outcome for businesses that heavily rely on print. Finally, there’s the health & safety angle to take into consideration. If accumulated on web rewinds, static can potentially generate harmful operator shocks. This is particularly apparent with today’s more common filmic materials, as they tend to generate higher static charges. End users are demanding more sophisticated standards in the goods they purchase than they may have done a number of years ago, and these filmic materials are being used more commonly as they are pleasing on the eye. In which processes is static a particular issue and what kind of problems does it create? DR: Static can cause many quality and productivity issues throughout the printing process, but one area that needs special attention is unwind/rewind lines. Think about a digital label printing line, where a massive static charge can be generated both during printing and as the film or paper is unwound from a roll. These charges are capable of attracting dust to the web from several feet away. The print quality instead is affected when dust has deposited on the material. After all, printers cannot offer a fast service if they have to keep stopping their machines to clean them due to the build-up of contamination attracted by static charges. Considering that quality expectation is much higher these days, this is a problem that requires an effective solution. There’s also the issues with ink adhesion in the digital printing process, where uncontrolled static can actually repel the ink from the material surface. Not only does this scenario lead to increased production costs, it can also lead to reduced production speeds. Is the print industry fully aware of the impact of static or does it need educating? DR: As a whole, the industry is still coming to terms with the effects static can have. A lot of companies are aware – more so today than they might have been 5 years ago – that particularly in filmic applications static control is needed, but they may not fully comprehend why. That’s where the experts can step in and help, with solid knowledge of the different applications and products available to help neutralise the charges, and keep printing lines running smoothly and at optimum speeds. What are some of the challenges print manufacturers are facing today? DR: As already mentioned, quality expectations have significantly increased for printers compared to 10 years ago, but another big challenge they face is the minimisation of downtime. Printers need to be able to cope with the high volume of customer orders they receive, which means that a spotless, static-free web is required in order to keep presses running and achieve that perfect balance between productivity and print quality. What does the future hold for the print industry and what will it mean for static control? DR: It is evident that print will continue to move to digital for the foreseeable future, which of course means production speeds will carry on increasing and more filmic materials will be increasingly employed. As a consequence, there will be a need for companies like Meech International to produce static control solutions that can be employed on printing presses and that will result in high quality applications. The Label Printers’ topic was “Product Security Solutions – Facing Operational Realities”, and Lori Campbell, The Label Printers’ Chief of Operations was the Round Table Leader. Key Note speaker for the conference was Mr. Todd Rogers, Assistant Sheriff, Los Angeles County Sheriff’s Department. UL outlined the Event’s purpose and benefits in their Registration/Welcome materials, “For over 15 years, UL has taken an aggressive stance against product counterfeiting through a comprehensive program involving enforcement, education and partnerships with key IP crime stakeholders from around the world. As a leader in product safety testing and certification, as well as a rights holder, UL knows the detrimental effects IP crime can have on a company’s resources, reputation and to its corporate goals. As part of our public service and safety-oriented mission, UL is organizing the 2013 Conference to serve as a catalyst to strengthen and enhance brand protection programs, provide best practices for combatting IP crime and to strengthen global partnerships against this growing threat. 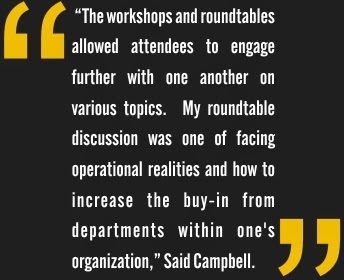 International, national and local experts will be on hand to provide a dynamic two-day training forum with innovative learning sessions that will include; operational workshops, interactive roundtables and a networking lounge. Additionally, we will offer rights holders the opportunity to set up exhibition tables where they can provide product identification training to law enforcement attendees. This benefit will also be extended to service providers so they may provide participants with the latest brand protection solutions. William J. Kane, Chief Executive of The Label Printers thinks that the conference has value to a wide range of organizations and companies interested in the latest information on brand protection. “Between the FBI and the U.S. Attorney’s Office, we always hear really interesting information about cases they’re prosecuting. The FBI is deeply engaged in the investigation and prosecution of [counterfeiting] criminals, and they emphasize how the buyers of counterfeit goods fund terrorists and organized crime. We heard about a really interesting case involving Nike shoes where the counterfeiter’s excuse was ‘I didn’t know’ – which worked the first time, but not the second.” He feels that there are always really excellent speakers at the event, such as Therese Randazzo who is the Director of IPR Policy and Programs with U.S. Customs and Border Protection, whose speech at the conference opening on “Effective Enforcement Strategies – Working With Customs and Border Protection” highlighted Customs’ herculean task of inspecting 250,000 packages every day. Conference participants included brand owners such as Altria; solution providers such as The Label Printers and; government and law enforcement agencies such as the U.S. Department of Justice, U.S. Customs and Border Protection, Interpol, Europol, the FBI, and Homeland Security; and many other intellectual property and anti-counterfeiting experts. Mark Andy Print Products is proud to announce the hiring of Joseph Ray as a Technical Flexo Specialist. Joe comes to the job with nearly twenty-five years’ experience in the print and packaging industry as well as a long-standing track record of success in B2B sales. He has an aptitude for identifying business opportunities and emerging technologies as well as an intuitive knack for forming lasting partnerships between companies. Joe has spent his career selling flexographic printing products and equipment and comes to Mark Andy Print Products with extensive knowledge of print consumables and the printing industry. He is also skilled in technical support and problem-solving, giving him the edge necessary to match pressrooms with the perfect consumables for their unique needs. 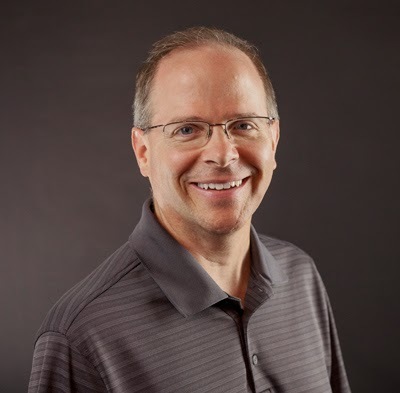 After nearly a twenty-year run as Territory Manager for Pitman Company in Bloomingdale, IL, Joe worked as the Director of Business Development - Emerging Technologies for All Printing Resources Inc. where he was responsible for developing strong relationships with manufacturers and customers. ”We are excited to have Joe join us. He has such a passion for the industry and forming strong partnerships. He will complement our mission to be the total solutions partner in the label and packaging industry,” stated Joe Calmese, Director of Flexo Consumables. MAPP continues to evaluate and review additional consumable and supply offerings for converters in North America, and will continue to expand our team of qualified technicians. The MAPP Flexo Team looks forward to supporting the industry in effective and efficient ways. QuadTech announced a new partnership with the Gallus Group to provide QuadTech closed-loop color control and color measurement systems for its offset, flexo and gravure presses. Utlizing QuadTech technology, Gallus customers can now quicken make-ready and offer ultimate print quality and productivity, with in-line color management. With a typical ROI of less than two years, QuadTech color control systems are now an essential consideration for many web printers looking to meet changing customer requirements and demands for high color standards, with consistent repeatability from run-to-run and site-to-site. Designed for offset printers, the QuadTech Color Control System with SpectralCam provides automated, in-line, closed-loop color control. 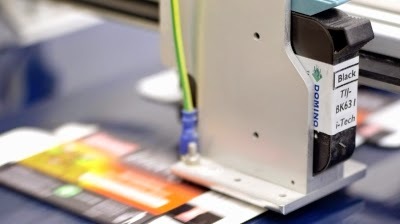 On-the-fly and at full press speeds, it adjusts ink keys to maintain specified color targets, preventing avoidable waste and operator inaccuracies. 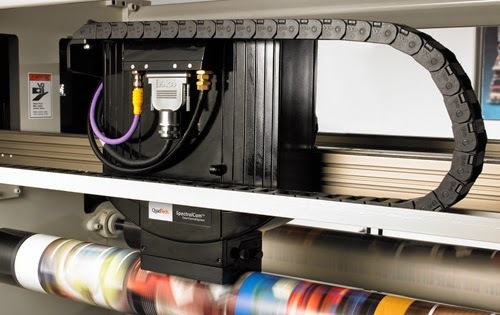 Flexo and gravure printers can also benefit from the QuadTech Color Measurement System with SpectralCam, which enables in-line monitoring of all packaging substrates, including challenging translucent, transparent and reflective films. Color variations are sent to the operator in real-time to change color specifications, eliminating press stoppages and the manual process of removing sections of the web to measure color. The ability to control color on problematic substrates such as films has been a significant objective for the printing industry. QuadTech has been able to solve this, by utilizing its web stabilizer to remove common issues of web movement and substrate corrugation. The QuadTech web stabilizer measures substrates over a certified BCRA ceramic tile, for a constant known backing, and momentarily stabilizes a small surface area of the substrate with a high pressure vacuum. This enables accurate color measurement on very thin, transparent and translucent films – ideal for self-adhesive labels, monofoil labels, wet-glue and laminates. QuadTech introduced the technology to the Gallus’s worldwide sales force during the world sales meeting and will showcase the SpectralCam systems at Gallus Innovation Days, September 23rd-25th 2014. Do you have solutions that are bold, breakthrough and brilliant? Be a part of Dscoop’s 10th Annual Conference education program! The Dscoop Annual Conference brings together 2,000+ of the best HP Graphic Arts users, digital print professionals and industry partners under one roof for three days of learning, networking and fun! We’re looking for education sessions on a variety of topics, experience levels and non-traditional formats that will leave participants armed with actionable solutions for achieving their business objectives. If you or someone you know is ready to step up and step outside of the box to deliver a bold, breakthrough and brilliant session, we want to hear from you! Hosting an education session at the Dscoop conference is a unique opportunity to position yourself as an expert and extend your reach to new audiences - including business owners and managers, press operators, and sales and marketing employees. Plus, it’s the best way to share your do’s and don’ts with fellow HP Graphic Arts users! The Dscoop Annual Conference call for speakers is now open.